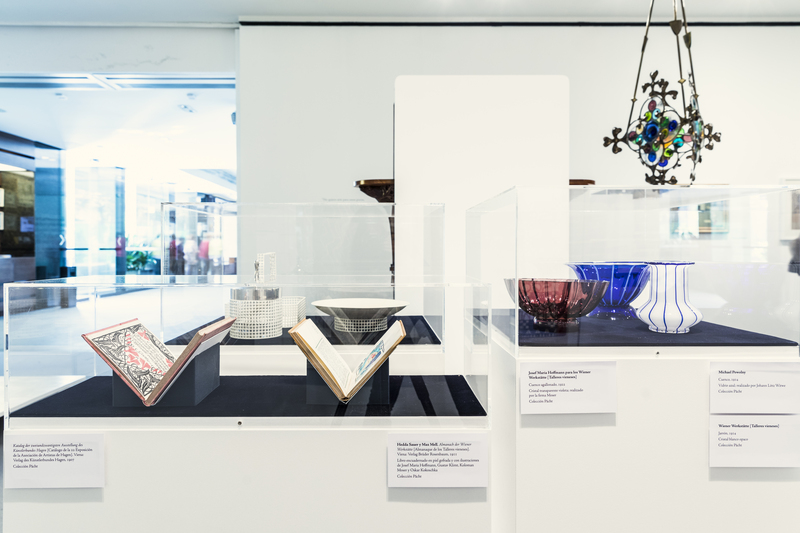 One of the most unique things about GSA Archives and Collections is that we hold a variety of objects and artworks which complement our extensive archive. These items, which make up the “Collections” side of our service, include a large number of items by Charles Rennie Mackintosh which have been recognised as Nationally Significant to Scotland by Museums Galleries Scotland. You can browse images from our Mackintosh Collection here on our online catalogue. 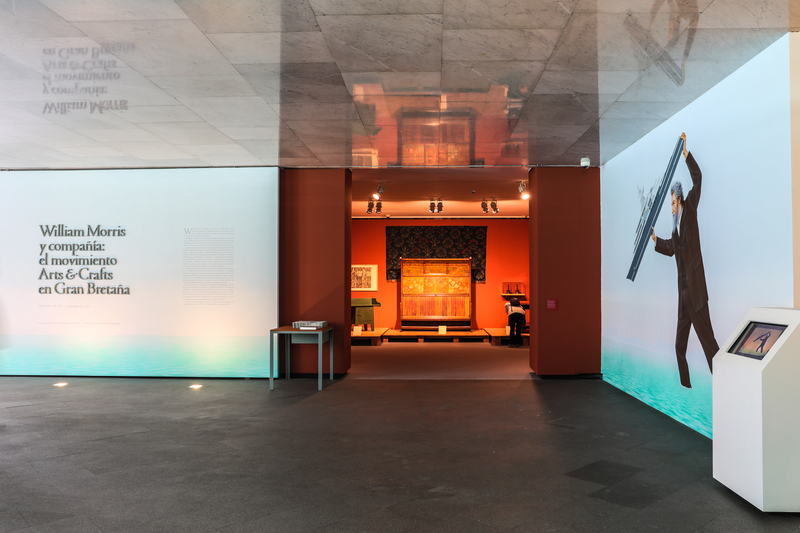 Throughout his career, our curator Peter Trowles has had requests at home and abroad for elements of this collection to feature as part of larger exhibitions. A recent example of this was when three pieces were selected to feature in William Morris and Company: The Arts and Crafts Movement in Great Britain; a joint exhibition between the Fundación Juan March in Madrid and the Museu Nacional d’Art de Catalunya in Barcelona. It recently opened in Barcelona on the 22nd of February and will run until the 21st of May 2018. Photograph from the exhibition at the Fundación Juan March in Madrid. Image Courtesy of Rocío Chillida Bergareche. 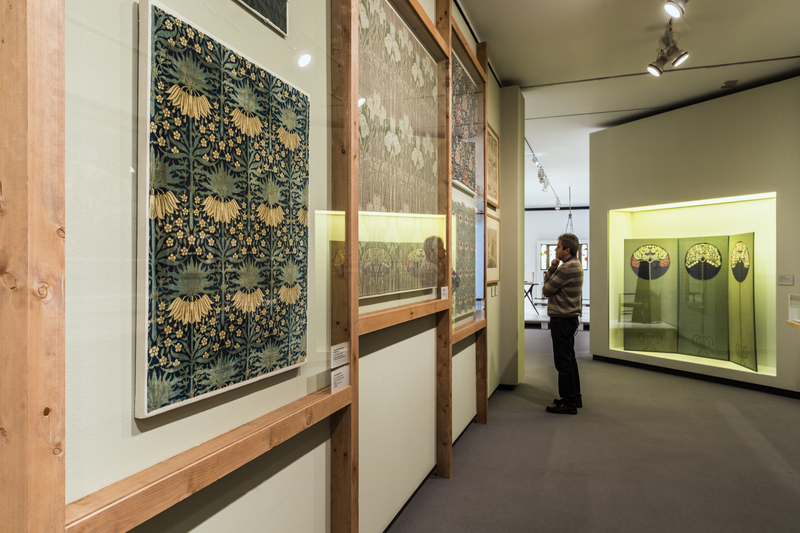 This exhibition is a chance for the public to explore the role of William Morris and other key figures in the Arts and Crafts movement. It is curated chronologically, focusing on how the movement originated in the mid-1800s and how it had developed by the turn of the 20th century. 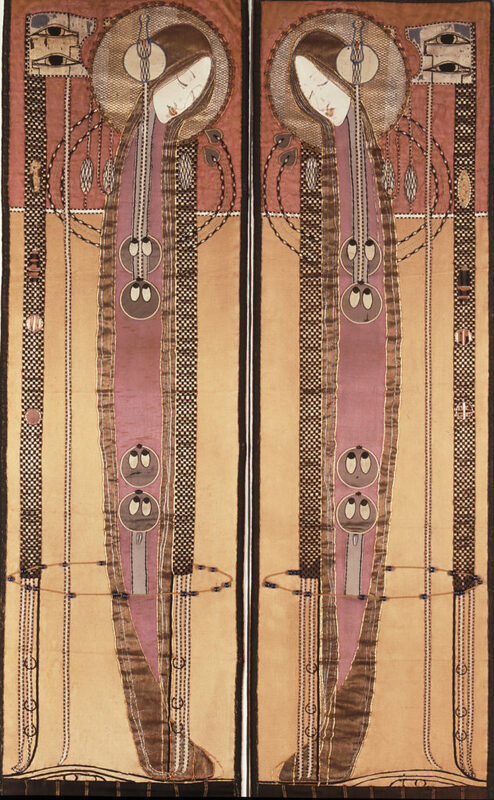 A section entitled The Arts and Crafts Movement in Britain (1887 – 1914) showcases the three pieces by Charles Rennie Mackintosh and Margaret Macdonald chosen from our collection exhibited alongside approximately 300 works by over 30 artists and designers. These include figures such as C.R Ashby and Walter Crane as well as the work of commercial suppliers like Liberty and Heal’s. 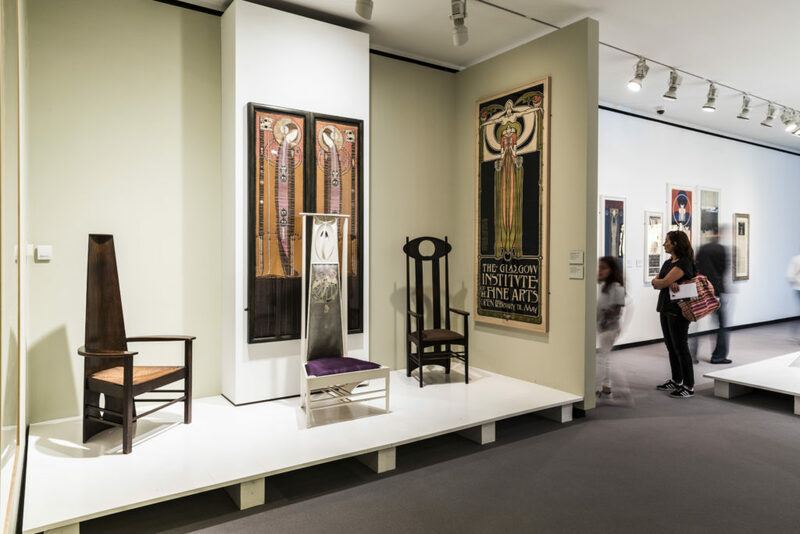 Pieces from our Mackintosh Collection being exhibited at the Fundación Juan March in Madrid. Image Courtesy of Rocío Chillida Bergareche. In a promotional video created by the Fundación Juan March which you can watch here, curator Manuel Fontan del Junco explains that these artists and designers highlighted a series of social and political issues which are still yet to be resolved. Another notable fact that the video highlights is that Arts and Crafts was one of the first artistic movements in which women had more opportunities to participate and weren’t expected to produce a particular and accepted style of work. The exhibition features some fantastic examples of work by female artists including our own Margaret Macdonald Embroidered Panels. As well as Mackintosh’s connection to Morris, The Glasgow School of Art also had connections with the Arts and Crafts movement through previous Director Francis Newbery. Newbery strived to invite leading figures in art and design to guest lecture at the School, including William Morris and Walter Crane. Find out more about these connections and Newbery himself by reading his biography on our online catalogue here. William Morris and Company: The Arts and Crafts Movement in Great Britain, Exhibition information and promotional video. Thanks to Rocío Chillida Bergareche for providing images. Sign up here to receive new posts by email. Glasgow School of Art's Archives and Collections on That’s not a penguin! Dugald Cameron on That’s not a penguin! Glasgow School of Art's Archives and Collections on Refugee Festival Scotland!